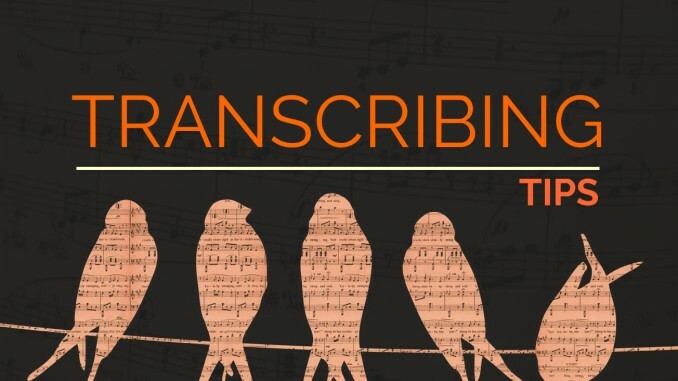 Everyone wants to know how to transcribe but no one finds out so here we go. These are really tips and tricks because there is no other way than to listen to the song and play it on the guitar, but these are tips that will help you a lot. When transcribing try to find out the tuning by listening for strings that ring more. These strings are open so if you hear a low D ringing you know you’re not in standard tuning. Try to find out the key of the song. The key helps you determine which notes are most likely to be played. It also helps you determine which chords are in the song’s key. Use headphones. They help. Trust me! octave too, but I don’t think that Ibanez’s does. knob to only listen to the guitar side. save you time and bad notes. You may also want to invest in a vocal eliminator. You can also cheat and find a video and see how they play it.